Got myself a new Ipad app, Procreate last night. Quite fun to sketch with actually, almost as good as Sketchbook Pro with the little extra in brush responsiveness. This sketch came about from the experiment. 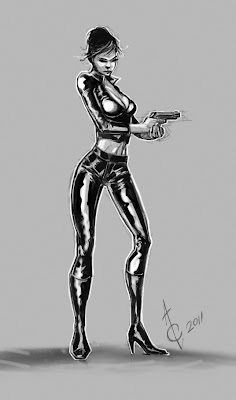 A new Modesty Blaise sketch.